Trade complaints lodged with the U.S. International Trade Commission regarding anti-dumping on subsidization cases ground to halt in November. 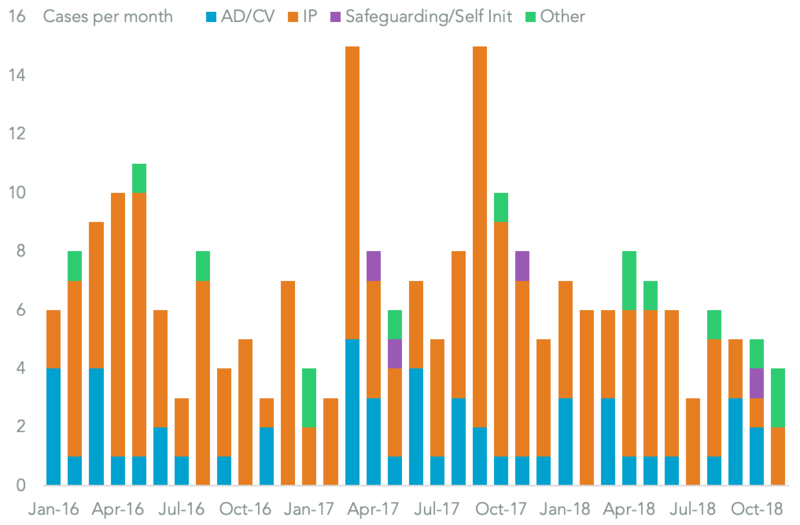 Panjiva analysis of ITC filings shows there were just four petitions made in total to the ITC during the month of November of which two were requests for investigations into potential trade deals with the European Union and the U.K. The two prior cases which were filed in October were also quite limited in scale. An investigation of polyester textured yarn from China and India covers imports worth just $64.0 million in the 12 months to Sept. 30, Panjiva data shows. Similarly the case investigating imports of magnesium from Israel covered imports worth just $37.4 million over the same period while seaborne shipments actually fell by 9.0% on a year earlier in the three months to Oct. 31. The case will nonetheless have a marked impact on shipments by Israel Chemical Ltd (ICL) which is the leading importer via its Dead Sea Magnesium subsidiary. 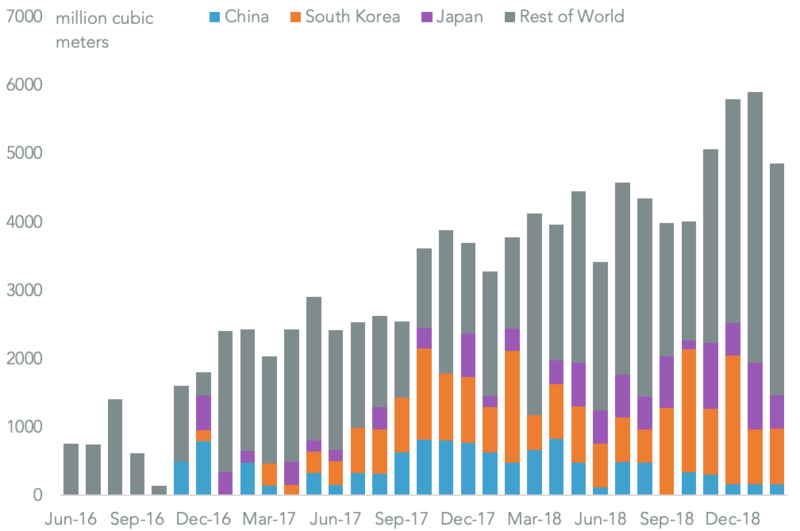 It may also help Rio Tinto, whose imports – which comes primarily from South Korea – represented 8.8% of U.S. seaborne imports in the 12 months to Oct. 31 vs. a year earlier v.s ICL’s 8.2%. The next cases may come in China products where tariff increases to 25% from 10% on $200 billion of products have been delayed for 90 days, as outlined in Panjiva research of Dec. 3. 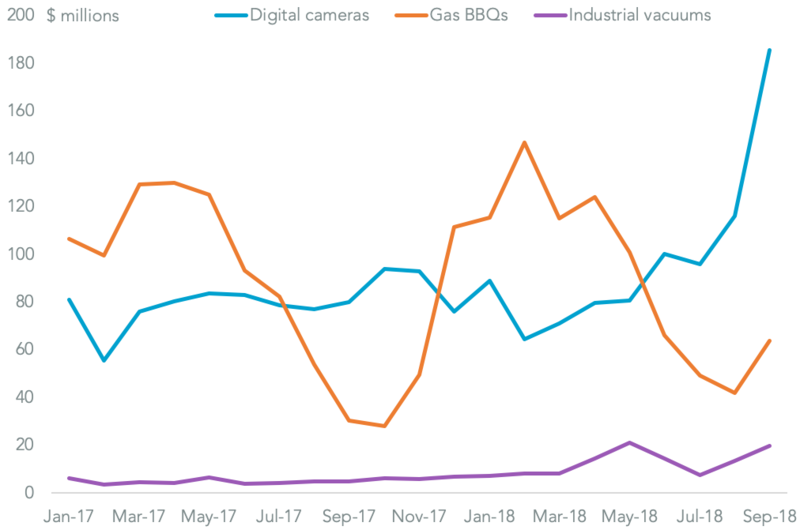 Products with a marked increase in shipments in September vs. a year earlier range widely from digital cameras (HS 8525.80.30) which climbed 132.2% Panjiva analysis shows and portable gas barbecues which climbed 109.9% (HS 7321.11.60) to industrial vacuum cleaners which jumped 307.6% (HS 8508.19). 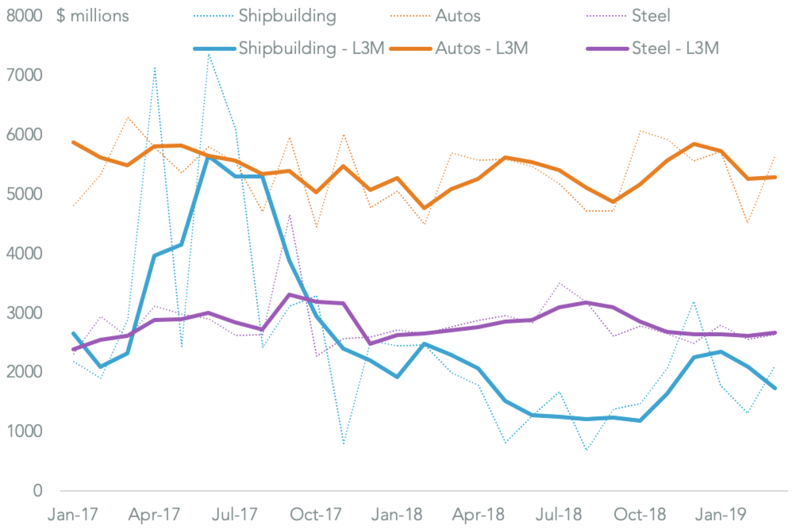 It’s difficult to be definitive at this stage of course as to whether there is structural dumping at work rather than simply a rush to build inventories ahead of the tariff increase. Given the cost, complexity and time required to file and complete an anti-dumping case it therefore wouldn’t be a surprise to see the lull in new cases continue until well into 2019.